Last Christmas, a friend gifted me a lovely set of Kusmi Teas. I enjoyed them so much that they warranted an immediate repurchase, so last month I picked up the Wellness set at a local health food store. Kusmi Tea are a high quality french tea brand based in Paris with a very long history that dates back to its original foundings in Russia 1867. 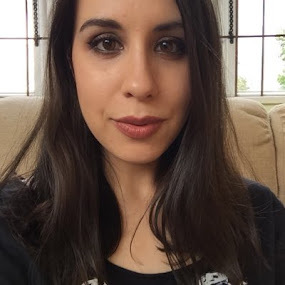 They are famous worldwide for their specialist loose tea blends iconic packaging, and quite frankly, their teas are some of the tastiest I've ever tried. 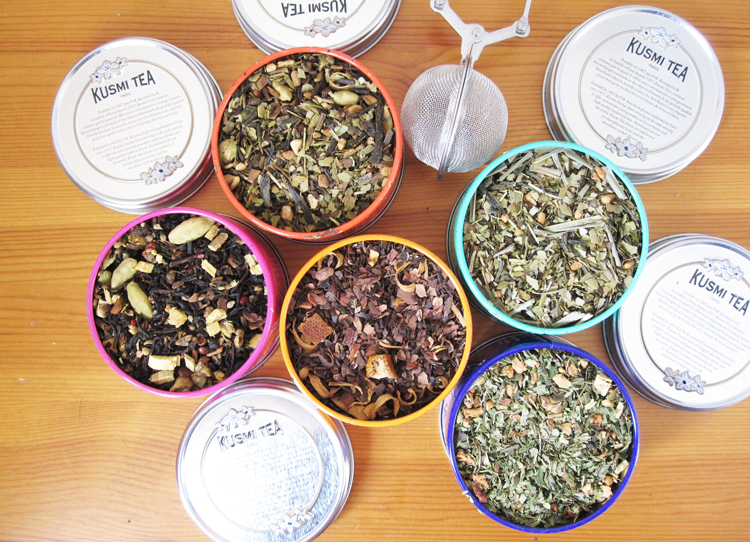 Below are the teas that came in my Wellness set; a range of five gorgeous 125g mini tins filled to the brim with a different flavour of loose tea. Sweet Love is a sweet and spicy tea - I've never tried anything like it before. It's a blend of Black China Tea, Liquorice Roots, Spices, Guarana Seeds and Pink Pepper. The aniseed flavour from the Liquorice is quite strong in this, but there's a subtle overall sweetness which makes it just delicious. Reminds me of a tea I'd drink at a Christmas festival. Like chocolate orange things? 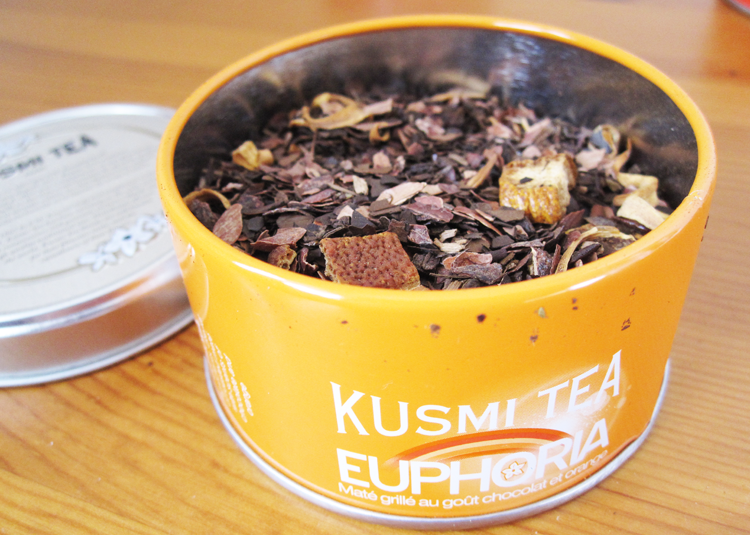 Then you'll love Euphoria which is made with Roasted Maté that is blended with Chocolate and Orange extracts. 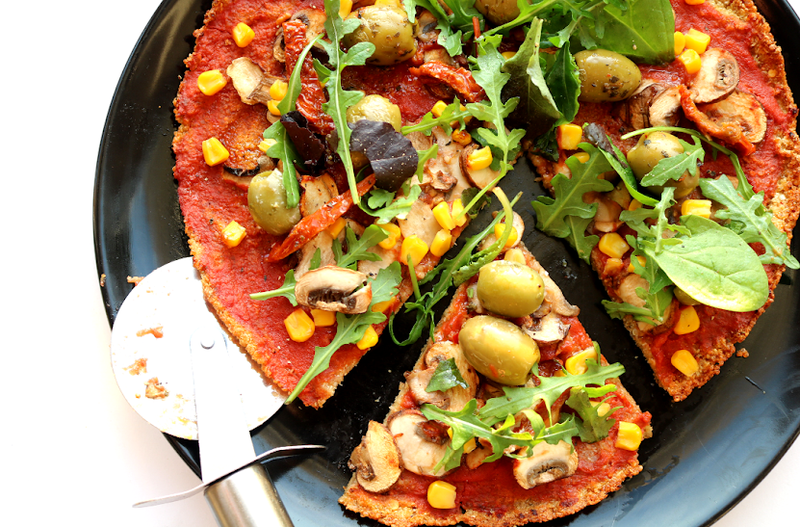 This is one of my favourites - a great, flavourful tea to relax with in the evening after dinner. 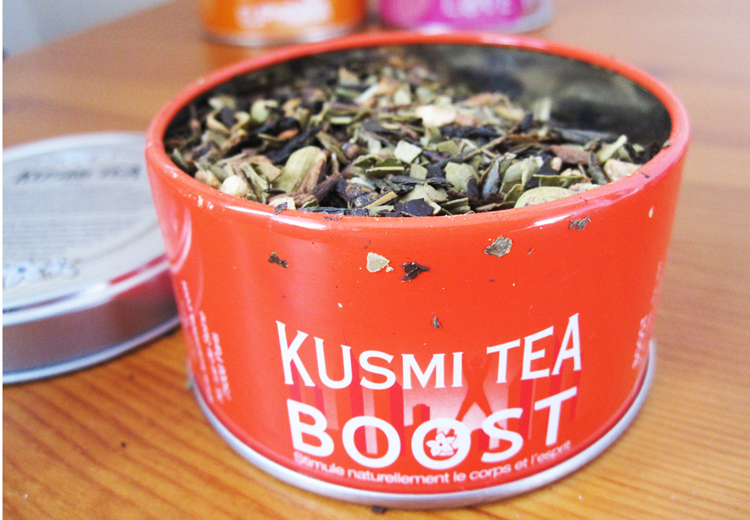 Boost is a strong mix of Maté, Green Tea, Spices, Cinnamon Bark, Ginger and Cardamon. It's a spicy tea which will warm you up instantly (perfect for a cold, dreary day) and is ideal for those 3pm afternoon slumps at work because it really does give you a 'boost'. 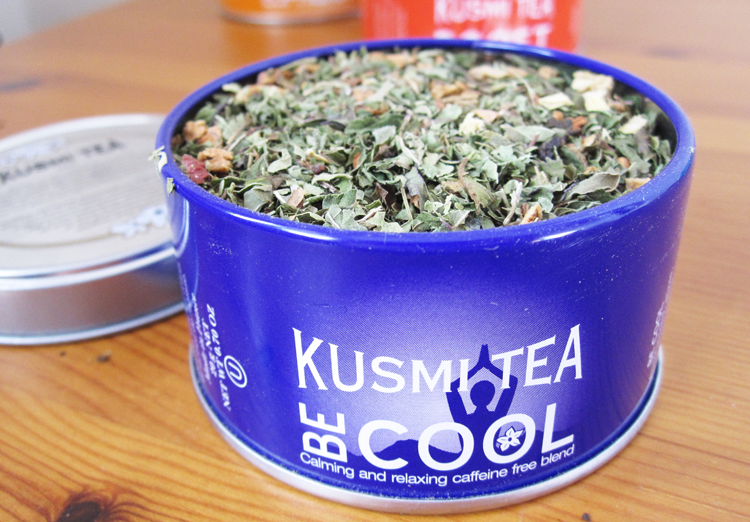 If the teas above sound a little too stimulating, then Be Cool may be more up your street. This is a caffeine free blend of Rosehip Seed, Apple, Verbena Leaves, Peppermint, Anis Seeds and Liquorice Roots. 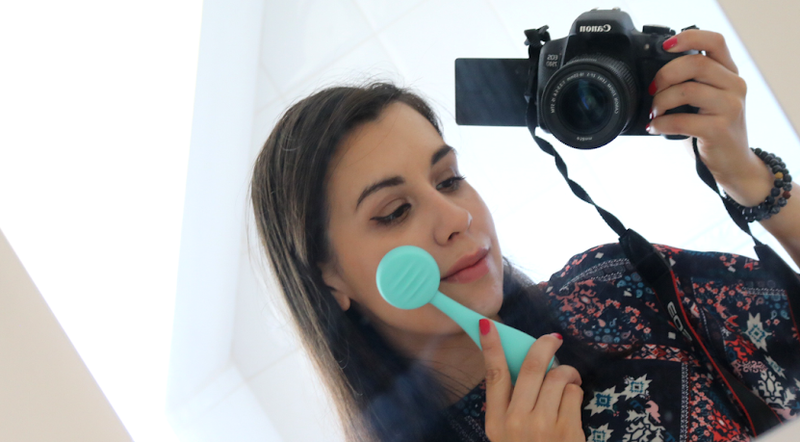 It's calming and thoroughly refreshing with a strong mint flavour. 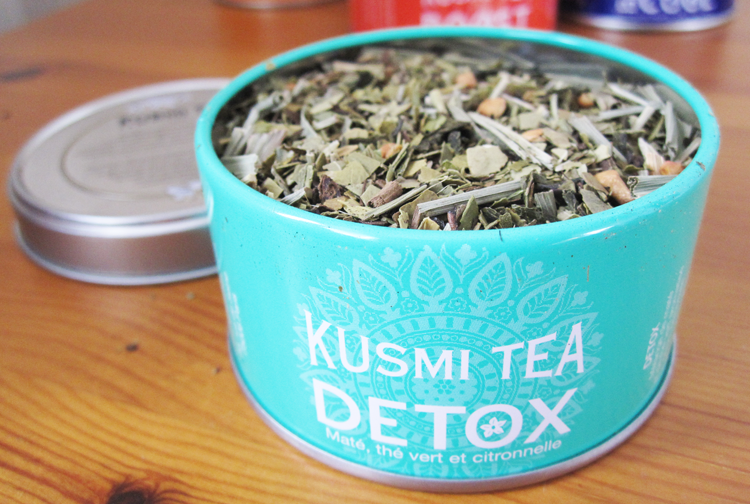 And lastly we have the Detox tea which is a blend of Maté and Green Tea, flavoured with Lemon and Lemongrass. The Green Tea isn't as strong in this as other typical detox teas I've tried which makes a nice change. This one is really refreshing too and tastes great as an iced tea for sunny days. You can pick up Kusmi Teas from various stockists including higher end independent health food and delicatessen stores, plus John Lewis stocks a selection too. 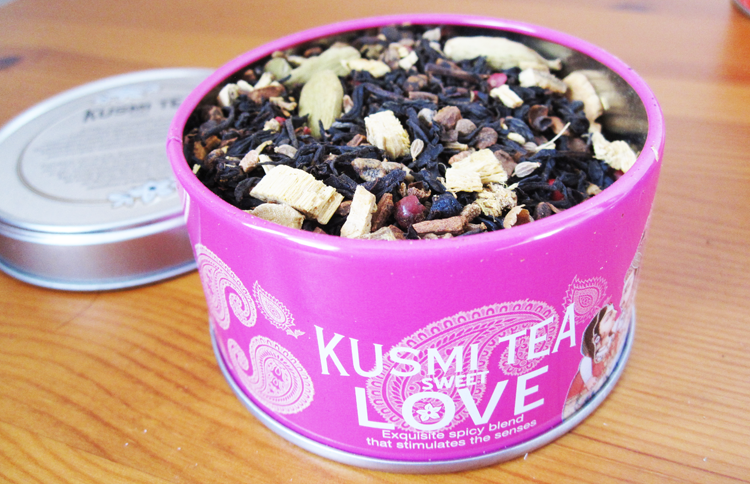 Also available direct from Kusmi Tea. 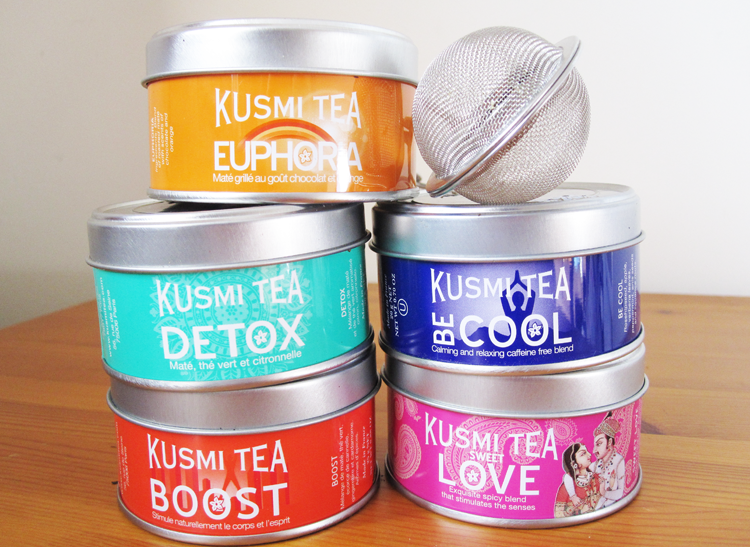 Have you tried any Kusmi Teas?